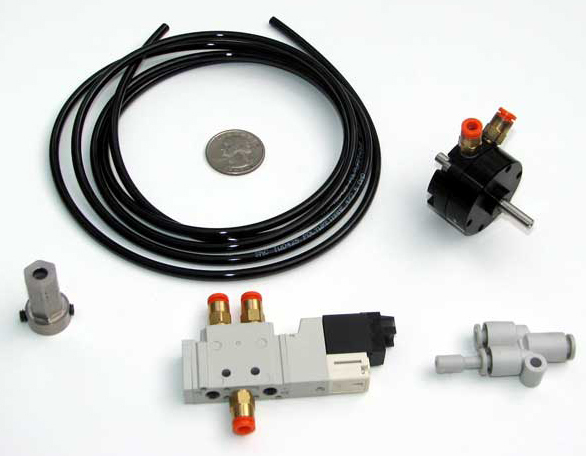 This pneumatic accessory kit includes all the components needed to add 90 degrees of dual acting rotary motion to the GEARS Invention and Design system. 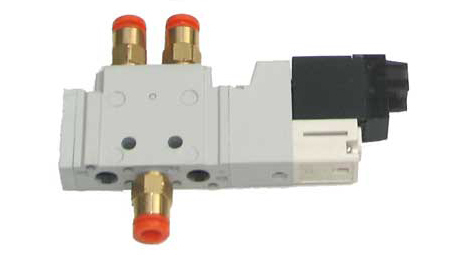 This vane style rotary actuator produces dozens of operational cycles from the GEARS-IDS pneumatic reservoir. 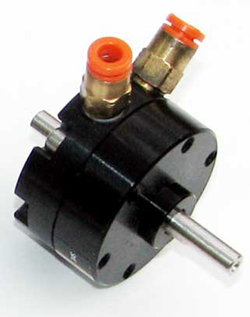 The Gears-IDS exclusive Rotary Pneumatic Bracket. 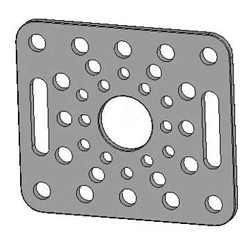 This 0.090" thick, 5052 aluminum mounting bracket accepts any of the SMC NCRB1_5 series rotary actuators. Rotary Actuator and Gears-IDS exclusive Rotary Pneumatic Bracket.